Beaches and landscapes from the eastern Galapagos Islands, plus some sunrises and sunsets. 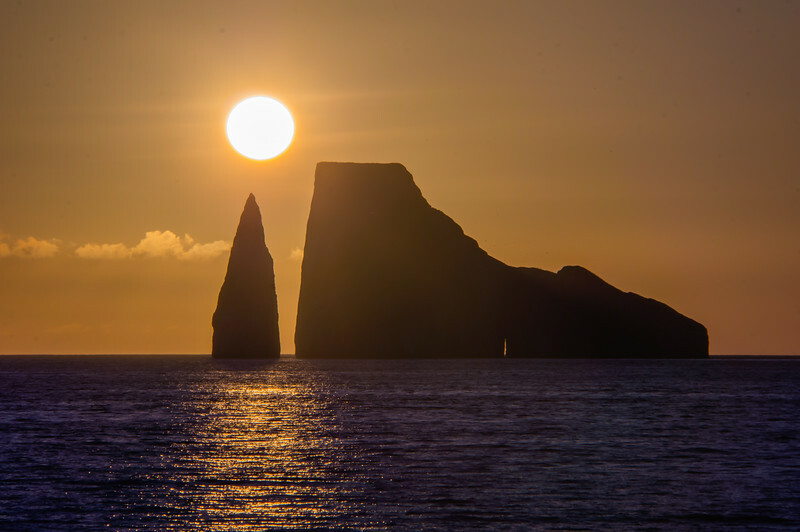 After our beach walk at Cerro Brujo, on San Cristóbal Island in the Galapagos, we asked the captain if he would relocate the yacht so we could see the sunset behind Kicker Rock. The captain delivered so we could watch the sunset behind the rock formation.